The “chief end of man”—which is to say the reason we human beings exist—is to glorify God and enjoy him forever. So says the Westminster Shorter Catechism, and that’s exactly right. It takes a certain kind of God-centeredness, as I say in this sermon on the raising of Lazarus, to appreciate the fact that Jesus was willing to disappoint Martha and Mary in such a profound way. What can we learn about our own “disappointments” with God? That’s what the first part of this sermon is about. 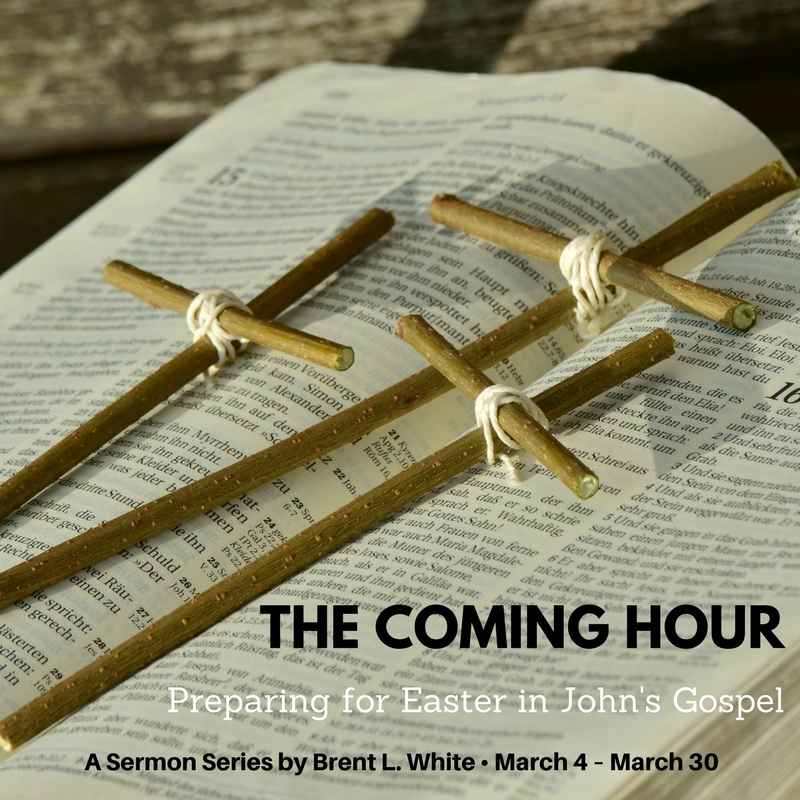 But the second part of the sermon is more important: what does the raising of Lazarus have to do with the cross, the Atonement, and God’s love? 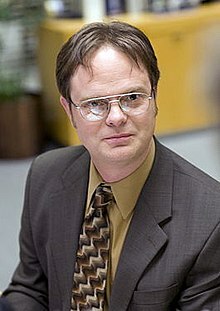 We Schrutes don’t need some Harvard doctor to tell us who’s alive and who’s dead. But there was an unlucky streak of burying some heavy sleepers. And when grave robbers discovered some scratch marks on the inside of some of the coffins, we decided to make sure our dead are completely dead—out of kindness. And so, after the coffin is lowered into the ground, they fire a shotgun three times into the coffin. You may laugh, but before modern funeral practices like embalming were introduced, around the turn of the 20th century, the fear that you might get buried alive was very real. Some people had strings inside coffins attached to bells on the outside. So they could ring the bell if they woke up. Some wealthy people put telephones inside of mausoleums just in case. I mention this because we’re told in verse 17 that Lazarus had “already been in the tomb four days.” According to a Jewish superstition, which is not found in the Bible, the soul of a person hung around the grave for three days—waiting to see if the body would come back to life. After three days, the soul departed once and for all. The point is that by the fourth day, people believed that there was no hope that anyone could ever come back to life. And this was likely true for Mary and Martha, the sisters of Lazarus. By all means, they believed that Jesus could have saved their brother if Jesus had gotten there before Lazarus died; maybe Jesus could have performed a miracle and saved him if he had gotten there within hours of his death. In fact, other accounts of Jesus raising dead people to life in the gospels take place sooner after death. But now that it’s been four days… well, we can hardly blame these sisters for thinking that all hope was lost—no matter how much they believed in Jesus. Jesus delays coming for two days—thereby ensuring that by the time he and his disciples arrive at the tomb Lazarus would be dead for four days, thereby ensuring that his dear friends whom he loved, Mary and Martha, would experience all the grief, all the anguish, all the sorrow, all the pain—that comes from watching a loved one die. Look at Martha’s first words to Jesus in verse 21: “Martha said to Jesus, “Lord, if you had been here, my brother would not have died.” And then in verse 32, her sister, Mary, fell at Jesus’ feet and said the exact same thing: “Lord, if you had been here, my brother would not have died.” Then look at verse 35: “Could not he who opened the eyes of the blind man also have kept this man from dying?” So the Jews who were in town to comfort the sisters also blamed Jesus. In other words, everyone is convinced that Jesus did something wrong in not being there for them, in letting Lazarus die, in letting this family suffer like this. They are convinced that Jesus made a mistake. He failed. He let them down. His love failed: “If Jesus really loved us the way he says he does, then this terrible thing wouldn’t have happened.” But we, the readers, know better: Jesus has already told us that this seemingly tragic event happened for a reason: Verse 4: “It is for the glory of God, so that the Son of God may be glorified through it.” That’s the theme verse of John chapter 11: Everything that happens here is for God’s glory, so that the Son of God may be glorified through it. For we don’t live for ourselves or die for ourselves. If we live, it’s to honor the Lord. And if we die, it’s to honor the Lord. So whether we live or die, we belong to the Lord (Romans 14:7-8). For everything comes from him and exists by his power and is intended for his glory. All glory to him forever! Amen (Romans 11:36). Whom have I in heaven but you? And there is nothing on earth that I desire besides you. My flesh and my heart may fail, but God is the strength of my heart and my portion forever (Psalm 73:25-26). Do you hear this radical kind of God-centeredness in these verses? “There is nothing on earth that I desire besides you… God… is my portion forever.” Everything I do is for God’s glory! Everything that happens is for God’s glory—including Lazarus’s death, including all the pain and sorrow that Martha and Mary are experiencing, including whatever pain, sorrow, or suffering that we’re experiencing! It’s all for God’s glory—which means that ultimately it’s all for our deep happiness and joy! In the Westminster Shorter Catechism, which John Wesley used and approved of—with a few modifications—the first question asked the following: “What is the chief end of man?” In other words, why do we exist? What are we here on this planet for? Why did God make us? And the answer is, “To glorify God and enjoy him forever.” I like this emphasis on our enjoyment, on what makes us happy… God’s glory makes us deeply happy. The way to be happy is to live your life for God’s glory—to experience God’s glory, to glorify God in everything. I like the way one preacher put it: “We don’t measure God’s love by how much wealth, health, and comfort he gives us. If that were the case, then God hated the apostle Paul. No, we measure God’s love by how much of himself he gives us.” If it took their brother’s death to give Mary and Martha more of God’s glory—which is to say more of Jesus—then that’s exactly what God will give them! Apply it to our lives: If it takes our own temporary pain and suffering to give us more of Jesus, that’s exactly what God will give us as well! Think of it like this: For non-believers, life in this world is all the heaven that they’ll experience in life. And for believers, life in this world is all the hell that we’ll experience in this life! And you may object, “Yes, but what about poor Lazarus! He had to die!” But it’s not “poor Lazarus,” because when Lazarus died what happened to him? He got more of Jesus, too! A lot more! When he said it, something in my heart resisted those words… Why? Because I know what’s best! Not God! And if I’m suffering, it’s not right! “If only you had been here, Lord… If only you had loved me enough to do what I think you should do!” [Shake head.] Now I see that even the way Garen responded to his heart attack glorified God—because he was showing me and everyone else—doctors, nurses, family members, friends—what trusting Jesus looked like! He was showing us what it looks like to experience the “peace that surpasses all understanding”! So he was right: this was for God’s glory. And he’s alive and well to this day—and he lost some weight; changed his diet and lifestyle; and that also brings glory to God because he’ll be around here longer to take care of his family and continue to be a Christlike example to them and others. 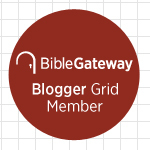 Do you remember where else in the gospels we meet Mary and Martha? That’s right, in Luke 10, when Mary and Martha are entertaining Jesus and his disciples in their home. In that episode, Martha gets angry because her sister Mary has chosen to sit at the feet of Jesus while he teaches instead of helping her get dinner on the table and do all the chores related to entertaining their guests. But Jesus tells her that Mary has chosen the “good portion, which will not be taken away from her.” So if you’re keeping score in this sibling rivalry, Mary gets the point. But here it’s different: Here, Martha gets the point, not Mary. While both sisters express disappointment in Jesus by saying, “Lord, if only you’d been here, our brother wouldn’t have died,” Martha says more. She says, in verse 22, “But even now I know that whatever you ask from God, God will give you.” But even now… I love that! Listen: When we experience disappointment in life—when we experience disappointment with God—when the Lord doesn’t answer our prayers or give us what we ask for or do what we think he’s going to do—we should, like Martha, be able to say, “But even now…” There’s always a reason to say “but even now”! With God, there’s always an “even now.” And if it’s not what we expected or hoped for, well… that’s only because it’s better than what we expected or hoped for! That was true for Martha. You say, “Wait a minute… Martha got exactly what she hoped for. She wanted her brother to be raised back to life, and Jesus did that.” Well, sort of… First she had to suffer and grieve and experience disappointment for four days. She wasn’t expecting Jesus to let that happen. But, no… she actually got much more than she expected. Much more! I want to show you something really cool. Maybe you’ve never seen this before. Prior to this week, I’m not sure that I’ve seen it before. First, let’s look at verse 36: After Jesus weeps, in verse 35, we’re told that the Jews said, “See how he loved him.” In other words, they believed that Jesus’ tears proved how much he loved Lazarus… But, oh, no… not even close. And you say, “Well, sure… because what really proves how much Jesus loved Lazarus was the fact that he performed this amazing miracle.” But, no, that doesn’t prove it, either. No one imagines that it required a great deal of effort on the part of the Son of God to perform the miracle itself. Jesus is God… a miracle is not hard to pull off. In other words, these civic leaders are worried that if this so-called Messiah attracts too large a following, that would make the Romans very nervous. They only let these Jews have power and keep their temple and continue to enjoy their way of life on the condition that they can maintain law and order and keep the peace. If enough people start believing that Jesus is the Messiah, well… the Romans will worry that Jesus is leading an independence movement… a revolution. And the Romans will march in and, well… they’re very good at violently stamping out revolutions. They’ll take over… and these Jews will be left with nothing. Jesus, in other words, would die a substitutionary death so that all of us children of God scattered everywhere would find forgiveness of sin and eternal life in him! It’s not simply “better that one man should die”—it’s the greatest news in the world that God’s Son Jesus would die because only through his death can we be saved! Regardless, the raising of Lazarus is the straw that broke the camel’s back: It’s event that sets in motion the chain of events that leads to Golgotha… and the cross. So… weeping for Lazarus and the miracle in and of itself don’t prove Jesus’ love. Not even close. What proves Jesus’ love for Lazarus—and every other sinner who’s ever lived—is that Jesus performed this miracle in part to set in motion the chain of events that would lead to Golgotha and the cross. Do you see that? Jesus knew that in order to raise Lazarus from the dead, he would have to sign his own death warrant. He knew that in order to rescue Lazarus from the tomb, he would very soon have to take Lazarus’s place in the tomb. Martha didn’t know what she was asking for that when she said, “But even now…” She thought she was just asking Jesus to bring her brother back to life in this world—so that he could live another 20 or 30 years in this world and then later die again. Big deal! She didn’t know that by bringing her brother back Jesus was making it possible ultimately for Lazarus, for Martha and Mary, and for everyone else who believes in Jesus to live, not just for a number of decades in this fallen, sinful world—but to live forever in God’s redeemed, perfect world. This entry was posted on	March 26, 2018 at 3:42 pm	and is filed under Uncategorized. The story of the martyring of Polycarp comes to mind. Polycarp was a disciple of the Apostle John and a leading Christian of the first and second century. He modeled our Lord when he refused to deny Him and was burned at the stake for it. Legend has it that a voice from heaven told him to “Play the Man” and not falter. It was said that all Christians present at the arena could hear the voice, but that the non-believers could not. All Polycarp had to do to save himself was to speak up. He would not and his story became an inspiration for the glory of God. In my life I have seen many who have had to deal with death of a loved one. The most faithful do so in ways that have been inspirational and that glorify God. This is an excellent sermon and a good one for me at the moment. As you can tell from the time this comment is posted, I am working late at the office–as I have been for basically about three months now. Unfortunately, up to this point the extra work is not translating into more money in the bank–not all the firm’s clients pay in full all the time, and also some of the time was on a contingency case which I very much expect we will lose and get nothing on. So, this is tending to make me somewhat despondent. “God, what is the point of all this?” But, as you say, this is not all about me; it is all about God’s glory. Hopefully somewhere in the “long run” I will be able to see what this phase was about in God’s ultimate plan, and his ultimate plan is always better than how we see things in the immediate circumstances. Nevertheless, pray for me to have strength, and hopefully some of this overtime will reap some financial benefits! Oh, Tom, I understand! I will pray.